Looking for a Christmas gift for a hyphenated Italian family or child? Look no further. 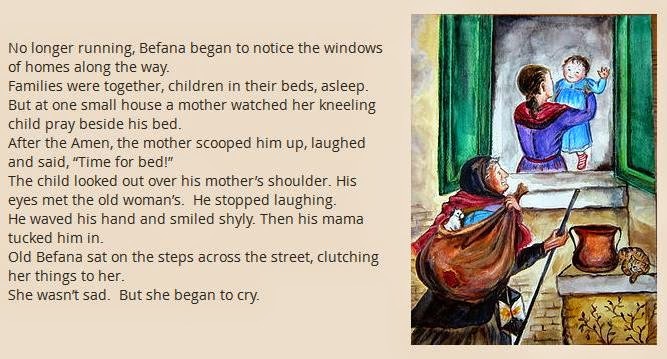 This beautifully illustrated re-telling of the story of La Befana, the visitor all good little Italian children await on the eve of the Epiphany, will be a gift they treasure for years to come. It is 32 pages long, hard-bound, and includes a dust jacket. The book's dimensions are 8.5 x 11 inches. 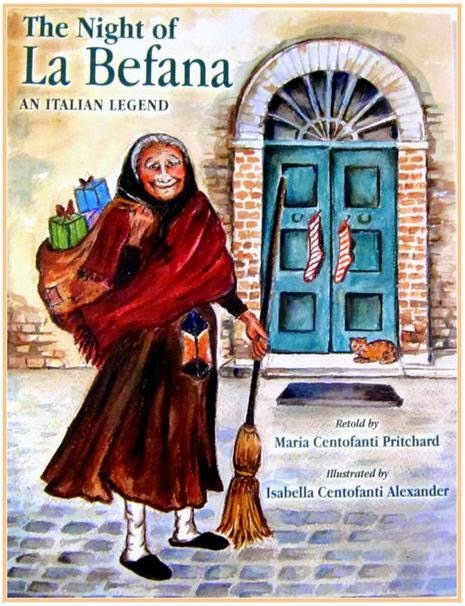 The story of La Befana is a moving one, and the text of this book, written for an adult to read to a small child, is lovingly constructed to convey not just the story, but also the emotions and mysteries of the elderly woman who ends up searching the world over for the Christ Child. 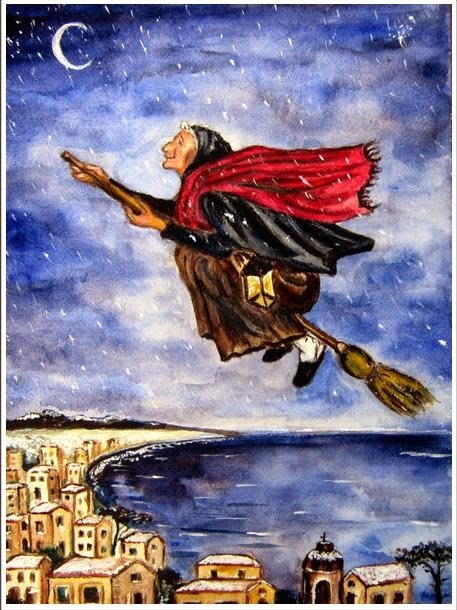 This image of the flying Befana with her sack of gifts and lumps of coal is one that all Italian children know. 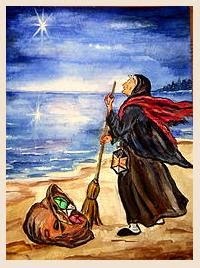 There are several morals hidden in the story of La Befana. It is not just a fun fantasy that became a tradition in Italy. I won't ruin the story for you, but know that it is a story that will remain with children for all their lives, and will be a story they will want to share with their own children, one day. The Night of La Befana from Isabella Centofanti on Vimeo. 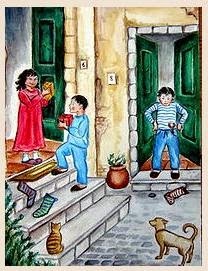 Why do Italian children hang up a stocking on the eve of the Epiphany? 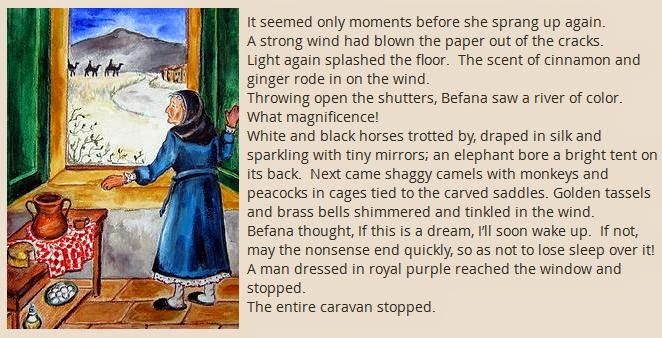 The Night of La Befana explains this custom with a retelling of the ancient Italian legend in which a reclusive old woman named Befana is the object of curious whispers. And for what reason? For sweeping and baking all day long, and singing lullabies to no one at all! But the appearance of a brilliant star one winter's night changes everything. Author Maria Centofanti Pritchard and illustrator Isabella Centofanti Alexander are sisters who grew up when life's slower pace invited them to linger long at the dinner table and to listen to their parents tell of their Old World childhood adventures. 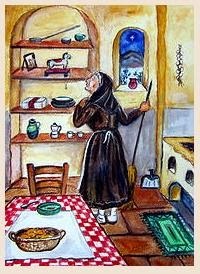 To create The Night of La Befana, Maria and Isabella drew deeply on memories: their father's birthplace in Italy, the hard-working villagers there, and their Italian grandmother who baked bread and sang the ninna nanna with joy and passion. The Night of La Befana unfolds in a simple yet lyrical style. Each watercolor illustration is entirely hand-done, every brush stroke robust and purposeful. 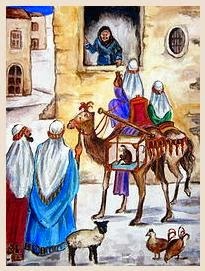 Together, text and pictures capture the essence of that strange night when three royally dressed men invite Befana to join their star-led search for the Christ Child, and she stubbornly declines. What happens when she wakes to regret her decision is why January 5th is The Night of La Befana. And it is why Italian children hang up a stocking on the eve of the Epiphany. Readers and listeners of all ages will treasure The Night of La Befana, a story to be read and enjoyed throughout the Christmas season, again and again! The Night of La Befana is published and distributed by the Italian Children's Market, a great resource for gifts for hyphenated Italian children! 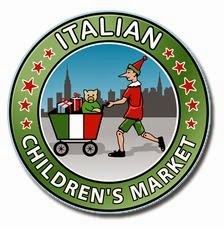 At Italian Children's Market we believe it is never too early or too late for a child to learn about his or her heritage. Our carefully selected books, DVDs, CDs, educational toys, and more, guarantee a friendly introduction to the language and culture of Italy. 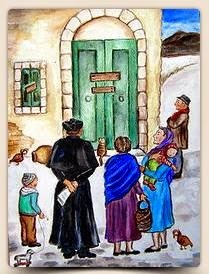 To visit our website is to hold your child's hand as together you step through a special door, one that leads to joy and pride in Italian roots. 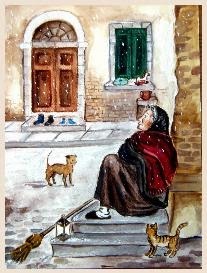 I have a page at my Italian culture website, Candida Martinelli's Italophile Site, at Italophiles.com, dedicated to La Befana.